the filibuster on high court nominations. 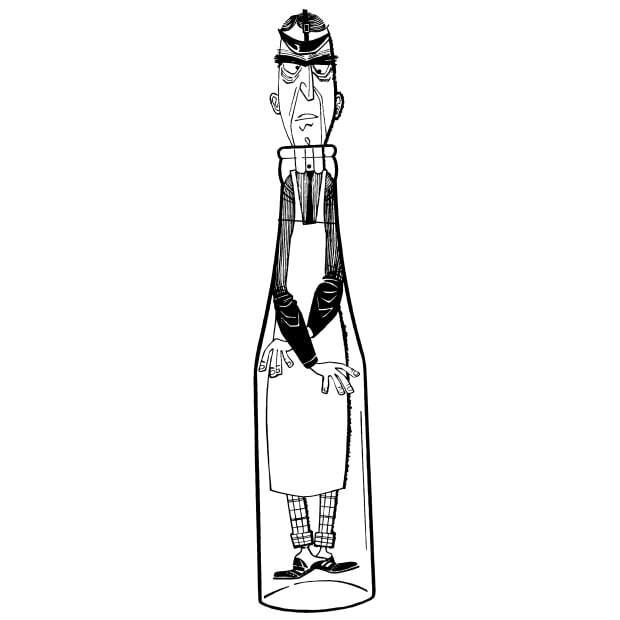 experience – win elections and nominate good candidates. to mostly vote with his right-leaning colleagues. Jeopardy! 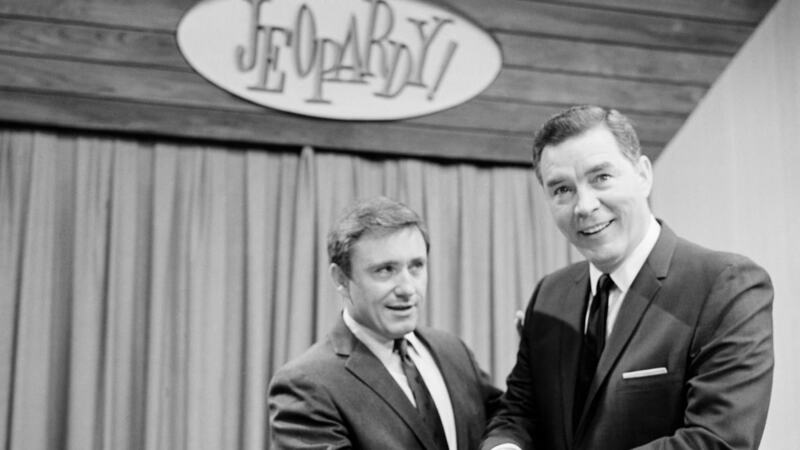 creator Merv Griffin, with the game show’s original host, Art Flemming. In 1965, the answers-first show made its debut. 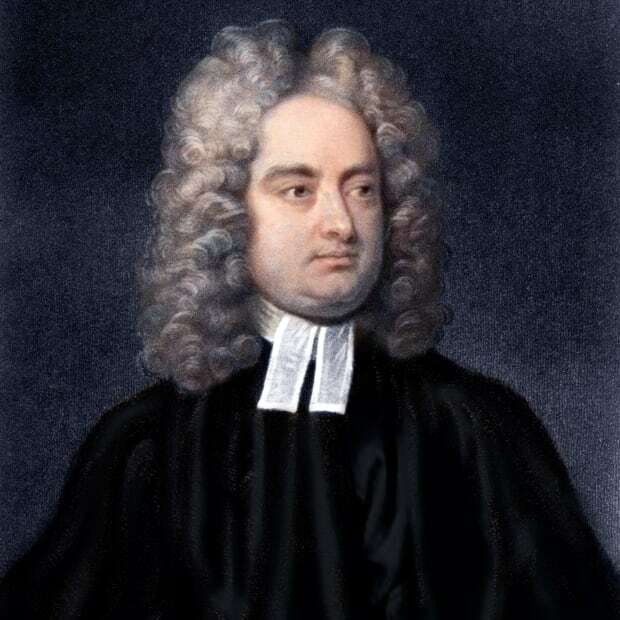 But if not for a group of popular—and fraudulent—quiz shows, it may never have existed in the first place. Throughout the late 1950s, viewers were riveted by a series of scandals related to TV quiz shows. The high-stakes games were extremely popular…and extremely rigged. Once the nation realized they were rooting for contestants in televised frauds, a grand jury, a congressional investigation, and even a change in communications law followed. But though the shows were short-lived, their format lives on in Jeopardy!. 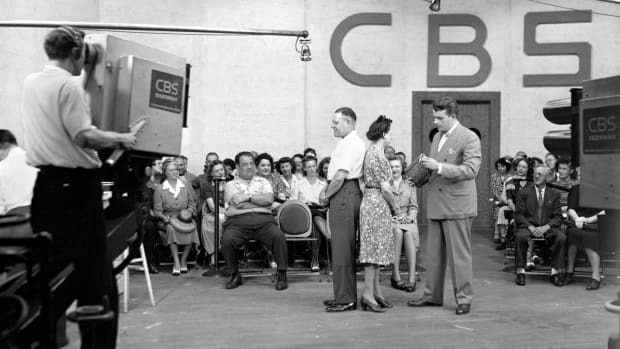 Game shows were born right around the dawn of television, but first became popular on the radio. In 1938, Information Please, a radio show that rewarded listeners for submitting questions that stumped an expert panel, debuted. Later that year TV’s first game show, Spelling Bee, appeared. 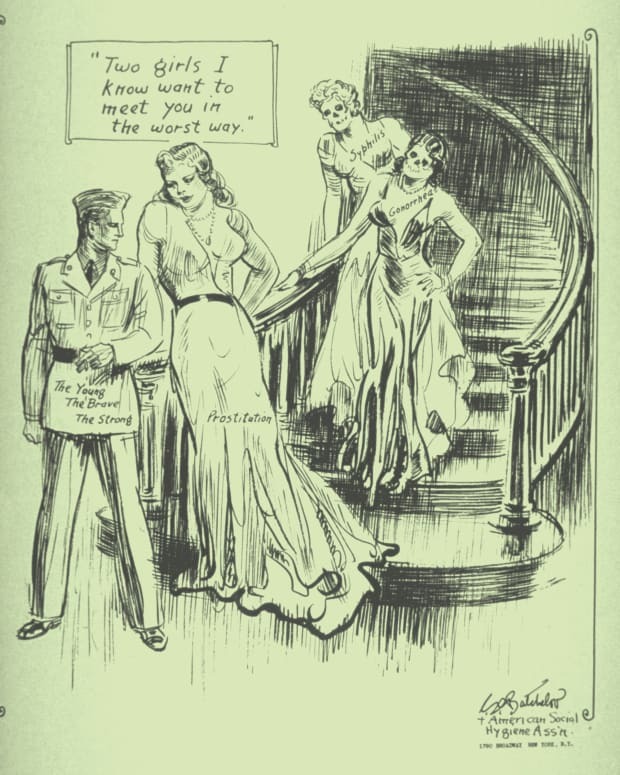 The format really took off after World War II, as more households got TVs. Low-stakes shows like This Is the Missus, which had contestants participate in silly contests, and Queen For a Day, which rewarded women for sharing their sob stories, reeled in daytime viewers. But it took a Supreme Court suit to usher in big prizes for the shows. In 1954, the Supreme Court ruled in FCC v. American Broadcasting Co., Inc. that giveaways weren’t gambling. This decision paved the way for higher stakes in game shows. Suddenly, prime-time viewers could choose between a new rash of game shows with massive prizes. The first popular high-stakes show, The $64,000 Question, created by CBS producer Louis Cowan and based on an older radio show, Take It or Leave It, paid the winners of a riveting general-knowledge quiz the equivalent of over $600,000 in modern dollars if they could beat out experts in their own fields. It was an immediate hit, and so were its most frequent winners. Soon another show, Twenty-One, reeled in NBC viewers by pitting two players against one another in a trivia game that involved isolation booths and headphones. From a Swiss “spaghetti harvest” to a fake UFO landing, these pranks went above and beyond. April Fool’s Day, once a time to pull a prank on both friends and enemies, has turned into a day for corporations to try and fool customers with predictable internet hoaxes. Come April 1, we can all count on an announcement about a fake new show, feature or a tinkered application. We know that Neanderthals were carnivores, with a diet that consisted primarily—if not exclusively—of meat. But a new study by researchers in France suggests that around 120,000 years ago, when a period of sudden climate change wiped out many of the animals who made up their food supply, some Neanderthals resorted to cannibalism. In the 1990s, the remains of six Neanderthals were found in Baume Moula-Guercy, a small cave in the Rhône valley in southern France. 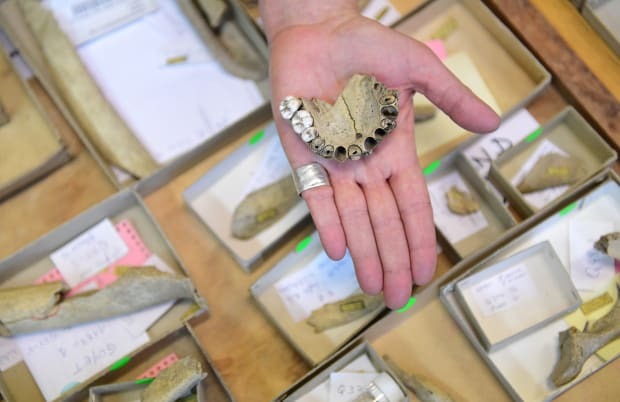 The remains, which belonged to two adults, two adolescents and two children, showed many of the tell-tale signs of cannibalism: , suggests one explanation. The Neanderthal remains in the cave at Moula-Guercy were discovered in the layer of sediment dated to the last interglacial period, which lasted from around 128,000 to 114,000 years ago. During that time, temperatures jumped several degrees higher from the era that occurred directly before the interglacial period, as well as from the period that came directly after it. Tooth of an adult Neanderthal from Les Cottés in France. Her diet consisted mainly of the meat of large herbivore mammals. When researchers examined the animal remains found in the layers of cave floor, they noticed the sudden change in climate had caused a dramatic shifting in food sources. Before the interglacial period, remains of larger mammals such as bison, reindeer and woolly mammoths, along with smaller ones like lemmings and mice, were found. But after the temperature warmed, they saw no evidence of large mammals, with snakes, tortoises and rodents discovered instead. Scientists have long debated how meat-centric the Neanderthal diet actually was, and some evidence supports the idea that they consumed plants as well. But one recent study based on nitrogen isotope ratios, a measure scientists use to track the position of an organism in the food chain, found that Neanderthals mainly consumed meat, usually in the form of large herbivorous mammals. The findings at Moula-Guercy suggest that as the climate warmed, and open grasslands turned into temperate forests, Neanderthals would have found fewer of these animals to hunt. As their food supply dwindled, apparently, some of them took drastic steps to assuage their hunger. down all of ObamaCare as unconstitutional. I’m seething again, and for the same reason. In Texas v.
law to achieve a politically desired outcome. Congress itself had already severed the two. “penalty” of potentially thousands of dollars per year. therefore a constitutional use of Congress’ taxing power. Washington, all figures being from the second quarter of 2017.
their job base will disappear. Poor counties can’t. parts of the state were passionately opposed. Guess who had the numbers to outvote whom? at $12 or $13 already, even for entry-level jobs. economics of hiring for positions such as sales associate ($9.16). persecution, up from 215 million last year. Africa remains far from the center of U.S. foreign policy. Open Doors also lists the world’s 50 worst persecutors. Mauritania, Morocco, Nigeria, Somalia, Sudan, and Tunisia. Kenya, Libya, Nigeria, Somalia, and Uganda. its Muslim-majority states are treated like second-class citizens. For tellers at a Shrewsbury, Pennsylvania bank, the final days of March 1979 should have felt like business as usual. Instead, they were sheer chaos: customers piled up, trying to withdraw money in the days before ATMs. 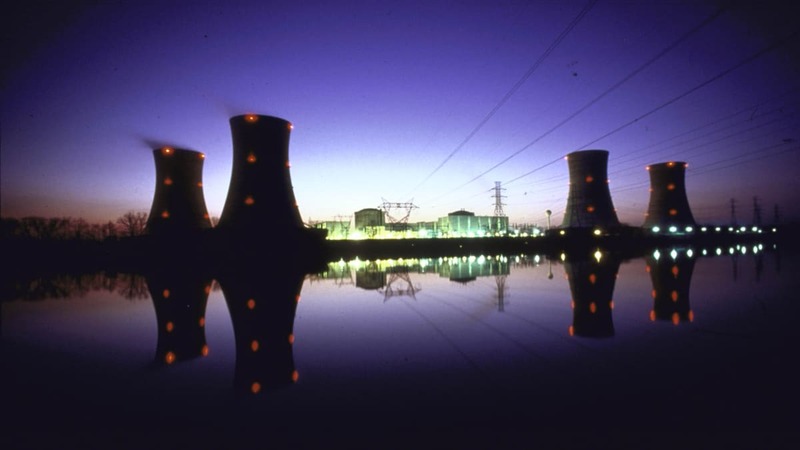 Shrewsbury wasn’t under evacuation orders during the nuclear disaster at Three Mile Island. But people were evacuating from the town 40 miles away from the power station anyway. The response by local, state and national officials had been so alarming—and confusing—that the public didn’t know what to think. Journalist and TV news broadcaster Walter Cronkite, anchor for the ‘CBS Evening News,’ reporting on the meltdown of a reactor at the Three Mile Island nuclear power plant in 1979. The disaster itself was made worse by human error. And the botched public response was no different. During the tense days following the accident, conflicting reports and recommendations made it hard to know what to believe. Was the area on the verge of a China Syndrome-style catastrophe, or was it just fine to stay at home? Today, the response to the Three Mile Island nuclear crisis is considered a textbook example of what not to do during an emergency. But before 4:00 a.m. on the morning of March 28, 1979, nobody had made adequate plans as to how to respond to an accident at the nuclear power plant. That morning, a chain reaction began inside one of Three Mile Island’s nuclear reactors. Due to a constellation of mechanical and human errors, the reactor’s automatic cooling system didn’t cool down the reactor as expected, and a partial meltdown occurred. For hours, the radioactive core of the reactor was left uncovered, causing radiation levels to spike throughout the facility. If they were women, that is. Photo of PM-2A Nuclear Power Plant. It was the tense days of the Cold War when a rivalry between the nuclear powers of United States and the Soviet Union had military leaders constantly scheming new ways to outfox the other side. Pentagon planners thought that by shuttling 600 nuclear-tipped “Iceman” missiles (a new moniker for the existing Minuteman) back and forth between 2,100 silos, they could keep their counterparts in the Soviet Union guessing. Imagine a potentially deadly game of atomic “whack-a-mole” spread out across 52,000 square miles of northern Greenland. 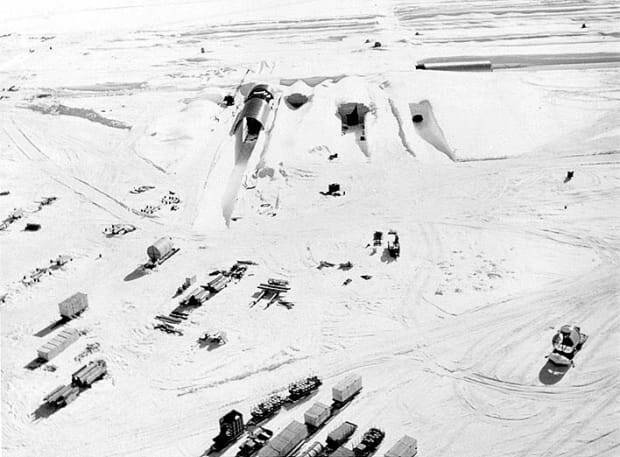 Once the location was settled, hundreds of military engineers and technicians trekked 150 miles from the existing Thule Air Base along Greenland’s northwest coast to the Camp Century site. From 1959 to 1961, they dug hundreds of feet into the compacted snow, fashioning an underground city with a sleeping quarters, laboratories, offices, a barber shop, laundry, library and warm showers for 200 soldiers.